I have mentioned before that I have used galvanized stock tanks for our veggie gardens. The are the prefect solution to growing large tomatoes, lettuce and peppers in a smaller space. 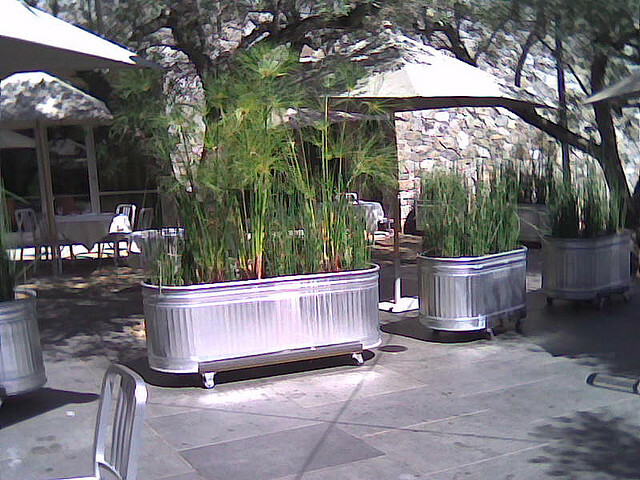 I am using these containers again for a client, but on a much large scale. 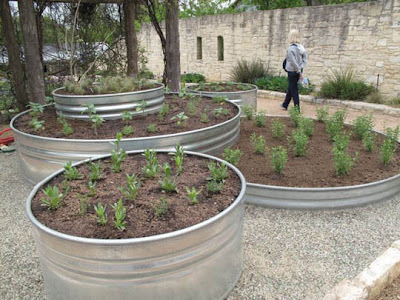 While sourcing the larger containers I came across these great alternative uses for the stock tanks in the garden/yard. 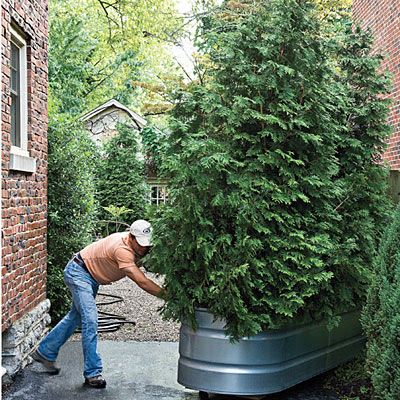 Planted with evergreens and placed on wheels, the troughs create a large garden gate. Used intertwined to create an interesting planting bed. 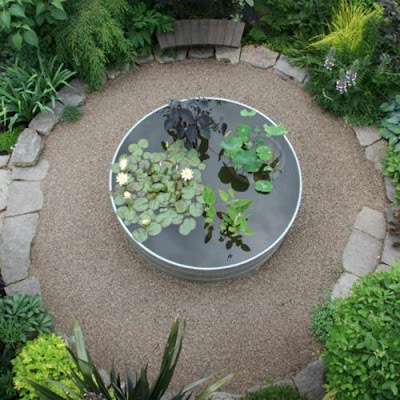 Used as a water garden with Lillies. I love this image mixed with the gravel and stone. Used as a backyard pool.